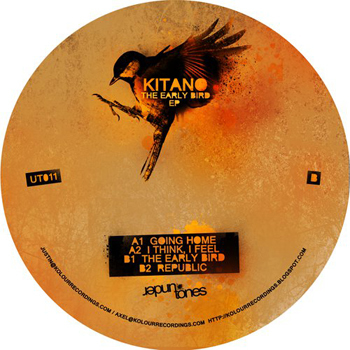 Melbourne based producer, Kitano brings us four low-slung joints on his debut for Undertones. This EP has got everything from deep house to balearic sound. There’s even a spiritual feeling when you listen to it, maybe because of the slow tempo and the warm pads, especially on “Going Home“. Rich and atmospheric music, hypnotic percussions and acid bassline, smooth pads, slowed down tempo. If you like this kind of things, then Kitano is definitely the producer you are looking for, a fresh new talent that we are surely going to follow from now on.